Dimensions 0.50 by 6.25 by 0.25 in. 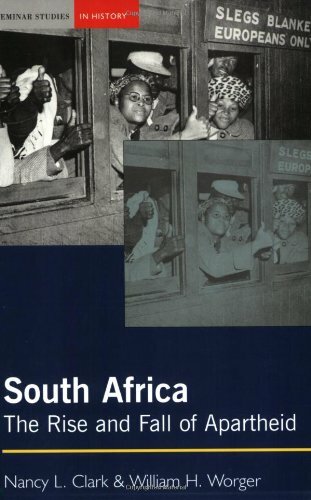 An introductory text explores the history of South Africa from 1948, when the Nationalists came to power, until its dramatic collapse in the 1990s. About: South Africa: The Rise and Fall of Apartheid examines the history of South Africa from 1948 to the present day, covering the introduction of the oppressive policy of apartheid when the Nationalists came to power, its mounting opposition in the 1970s and 1980s, its eventual collapse in the 1990s, and its legacy up to the present day. About: Apartheid was an oppressive and brutal system of racial discrimination that captured and appalled world opinion during the latter half of the twentieth century. About: An introductory text explores the history of South Africa from 1948, when the Nationalists came to power, until its dramatic collapse in the 1990s.